The military coup of 1964 installed a dictatorship that lasted more than 20 years and completely changed the interests of Social Sciences and its courses. In 1968, universities’ professors and students submitted to the Congress an ante project to reform the cathedratic system. The cobbled project disembogued a law that created new departments, new faculty arrangements and guaranteed lifetime positions for all professors. In 1968, the dictatorship became more violent, and many sociologists and professors were bulk purged. They handled the situation by finding new ways to keep Social Sciences active. Brazilian and foreign funding agencies guaranteed the creation of independent research institutes and individual grants. 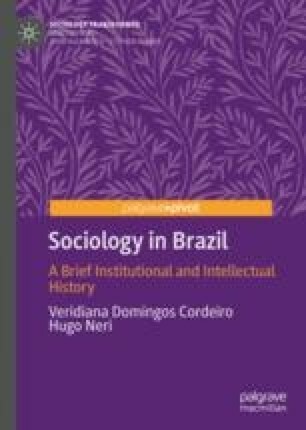 Other exiled sociologists integrated studies on Latin America issues outside the country.